at Kraftin’ Kimmie Stamps! Check out that banner – isn’t it awesome!! I think it is … and you’ll see why soon!! 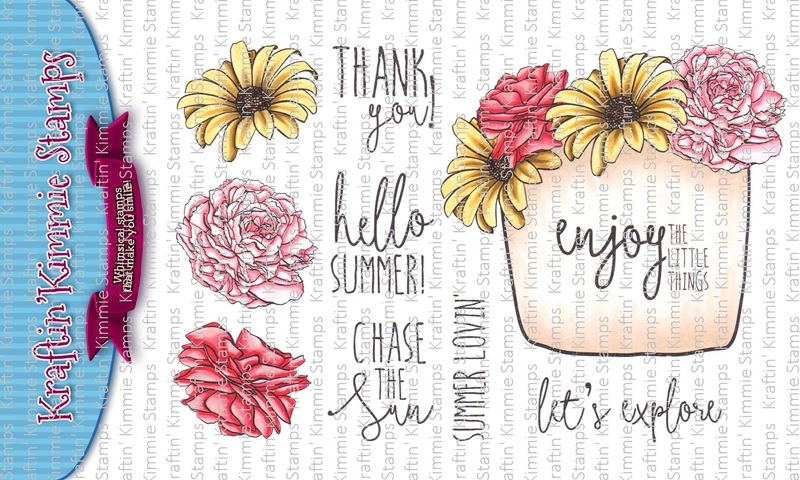 We are thrilled to present the second set of stamps from our new artist, Melissa Baker-Nguyen! This gorgeous set of blooms is so versatile and is perfectly designed for so many themes and reasons to send cards to the ones you love! There is a basket of blooms, a trio of single blooms and of course fantastically designed sentiments, which, just happen to fit inside the basket!!! 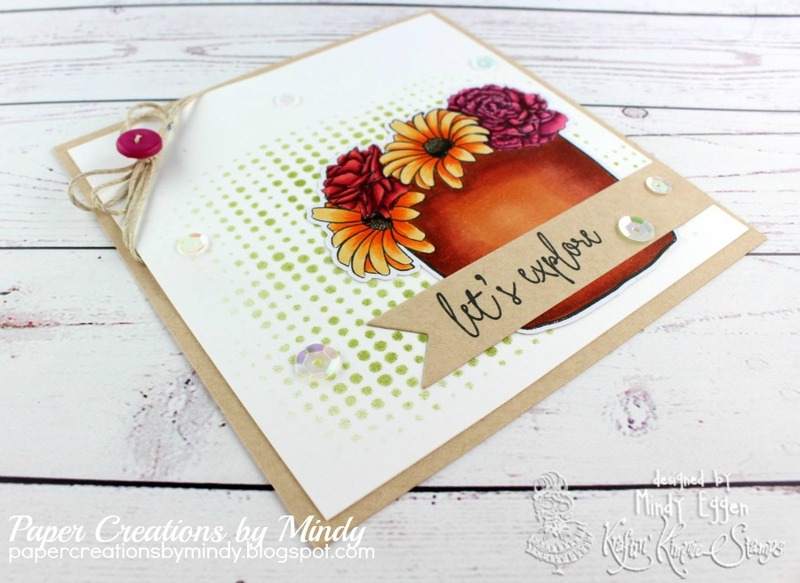 FANCY FLORALS stamp set! Be sure to hop around and leave lots of love at each and every stop because one lucky commenter will WIN a gift voucher to the krafty shop! The winner will be announced at the LIVE Online Release Party on Sunday evening, so don’t miss it! I don’t typically color florals but these are stunning! I have a couple ideas for this stamp set so you’ll definitely see it again from me. For today’s preview I decided to color up the flowers in the pot. I then cut it out with my Scan n Cut machine. 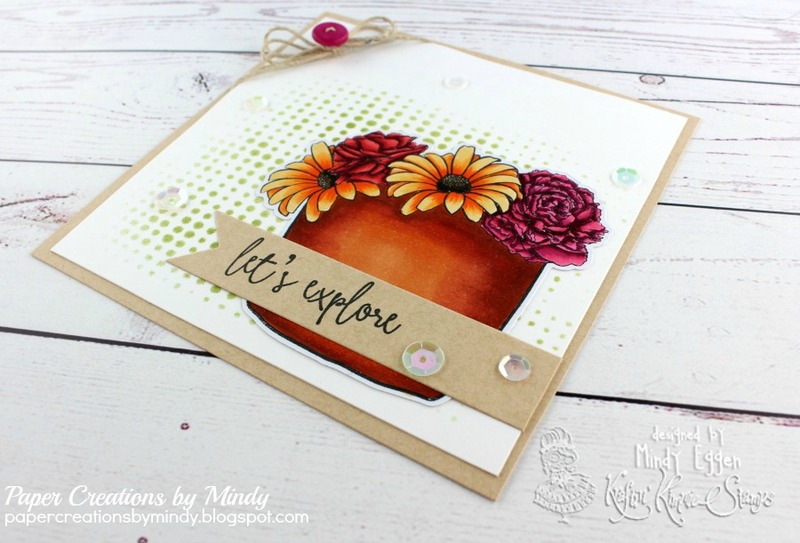 On the card base, I applied my some Peeled Paint distress ink with my Tim Holtz dotted stencil. I love how I can make look like its fading on the edges. After I adhered my sentiment to the card I put some finishing touches on it with some clear iridescent sequins from Little Things by Lucy. Perfect! Look familiar?? How awesome is that it’s in the banner?! WOW…the creative designs that the DT come up with always amaze me. I love everything about this card. The colours are so rich!! Beautiful! I absolutely adore your card! 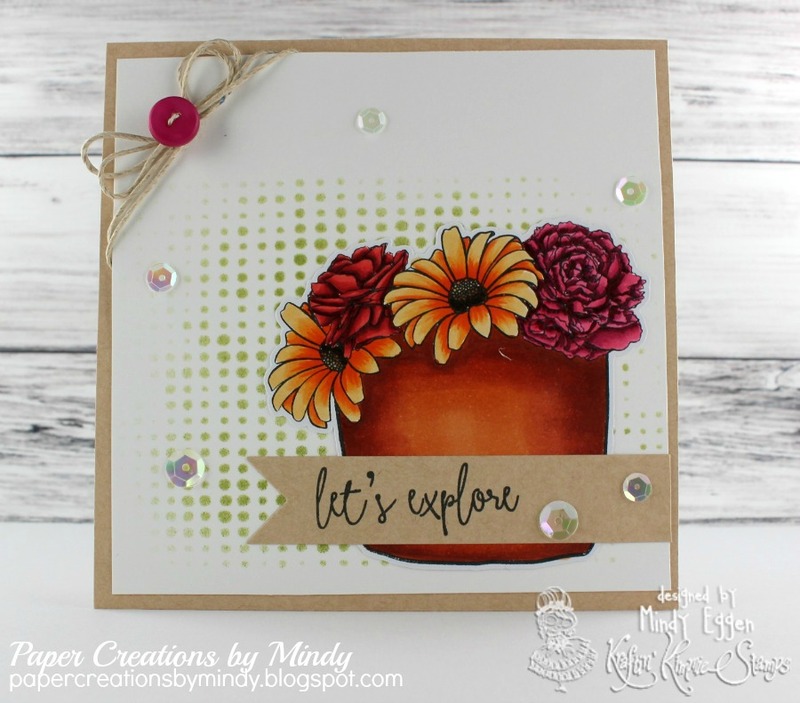 Love your gorgeous design, with the flowers and the dotty background! So cute..Your card with the cute banner on it..Thanks for sharing too.. Fantastic card! Love the stenciled background. Great background and the colouring amazing. This card is amazing, I love the colors!